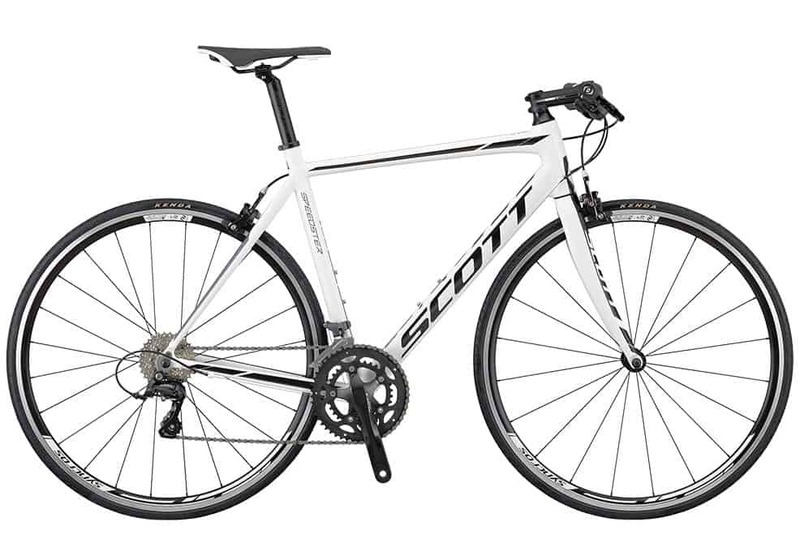 This flat bar road bike is called the Scott Speedster FB 50 and has shape optimized double butted Alloy tubing. It has a flat handlebar which gives the rider a more upright and comfortable riding position. The Speedster FB 50 also features race proven geometry which provides an aerodynamic advantage and great performance.